system for The Beacon Health Group is changing. 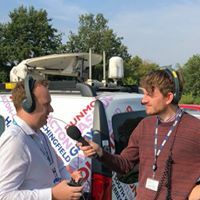 Mid-Essex CCG will be providing out of hours care for our patients from 12:30 until 18:30 and our telephones will be diverted to the care provider during this time. The Beacon Health Group Partnership operates over three sites. The main site (Danbury Medical Centre) is based in Danbury. 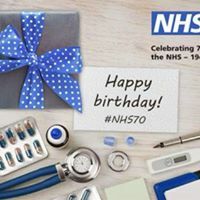 We have two branch sites, Mountbatten House Surgery (based in North Springfield) and Moulsham Lodge Surgery (based in central Chelmsford). Across all sites we have 17 GPs, 3 Emergency Paramedic, 2 Clinical Pharmacist, 2 Nurse Practitioners, 9 Practice Nurses and 3 Health Care Assistants providing appointments. 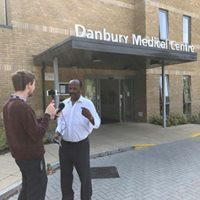 Danbury Medical Centre has always been an accredited GP training practice and now we are pleased to receive the endorsement for us to extend this facility over to our Springfield site too. The partnership have applied to gain trainer endorsement for their third practice based at Moulsham Lodge. 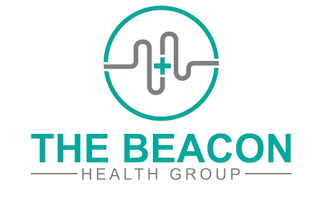 The Beacon Health Group is now able to offer our patients a wider variety of services ranging from chronic disease clinics to minor surgery services (performed within the new purpose built Minor Surgery Suite based at Danbury). 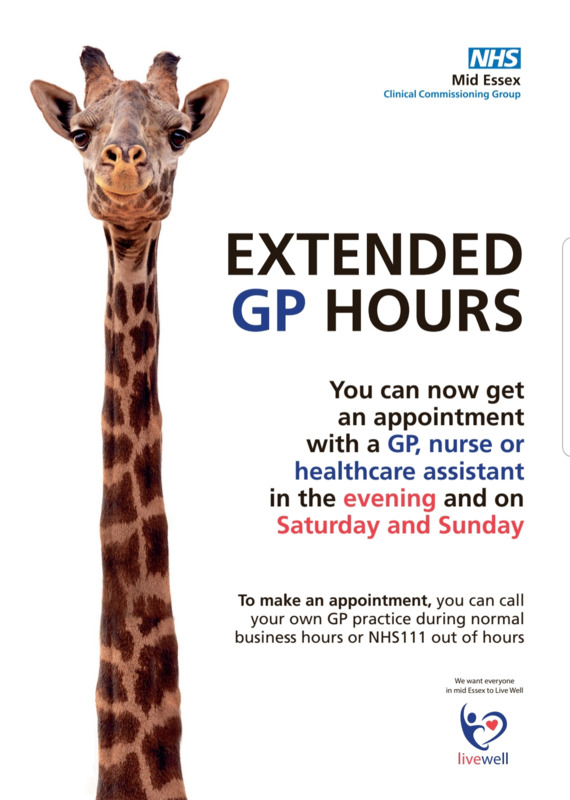 We also provide Friday extended morning appointments between 7.00am-8.00am, Monday and Wednesday evening appointments between 6.30pm-8.00pm provided by GPs and Nurses. Patients now have the flexibility to choose the location they wish to visit and the appointment time they wish to attend. Patients will also have a greater choice of clinician operating from both sites. With our patients at the forefront of every decision made, the Beacon Health Group offers further value to the health of our existing patients an also that of new patients coming to the area. Part of the GP Forward View is a requirement for practices in all Clinical Commissioning Group areas to provide Extended Access to all of their residents. This is a service commissioned by Mid Essex CCG. 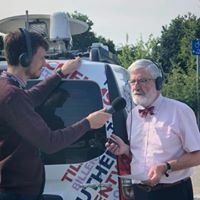 Appointments under the Extended Access scheme would be available Monday to Friday 6.30pm-8.00pm as well as Saturdays, Sundays and bank holidays. The Beacon Health Group submitted a business case to the Mid Essex CCG to provide this service but this was unfortunately unsuccessful. 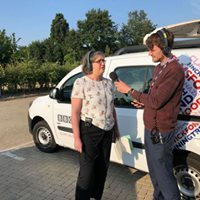 The successful bidder, as chosen by the CCG, is a practice based in Colne Valley who will be providing the Extended Access to all practices within Mid Essex CCG. 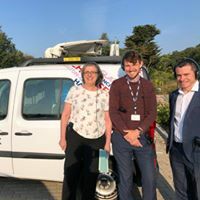 The Beacon Health Group were very excited to be invited to participate with the BBC Essex breakfast show based at Danbury Medical Centre all morning on the 5th July, discussing the diverse workforce within the NHS today and changes it has seen over the last 70 years. We are very proud to be part of something great!